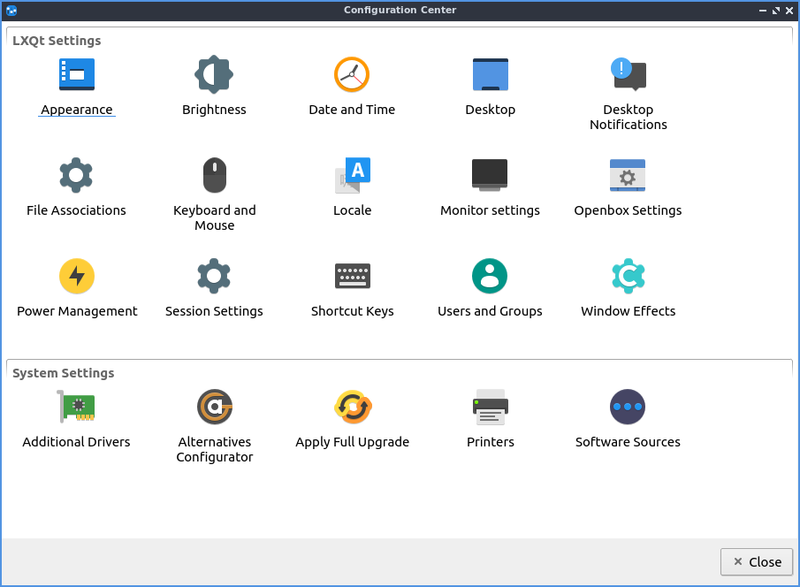 LXQt configuration center is an application with buttons that launches configuration options for LXQt the default desktop environment of Lubuntu. LXQt configuration center lets you launch many different applications in this chapter from a simple control center where you can double click on the icon for that program. To close one of the programs here you have launched you can close it by pressing Escape. Another way to select programs is move the currently selected item with the arrow keys on your keyboard and you can launch a program by pressing Enter. Lubuntu ships with version 0.14.1 of LXQt configuration center.